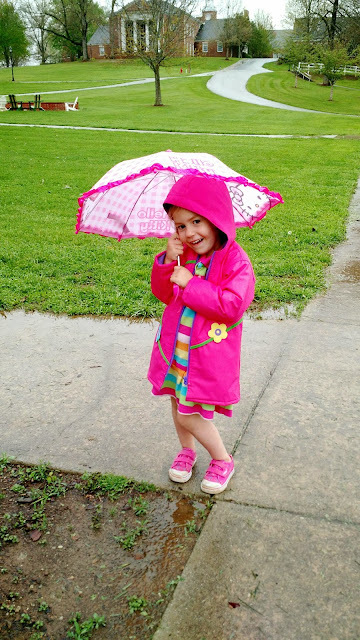 Wonderful rainy day picture of our sweet girl! So glad she enjoys the rain! Love you all! That is the cutest little girl under that Hello Kitty umbrella. She is so dear!! Love the view behind her too.